"We all get dressed for Bill," says Vogue editrix Anna Wintour. For decades, Schwinn-riding cultural anthropologist Bill Cunningham has been inventively chronicling fashion trends for the Times Style section. 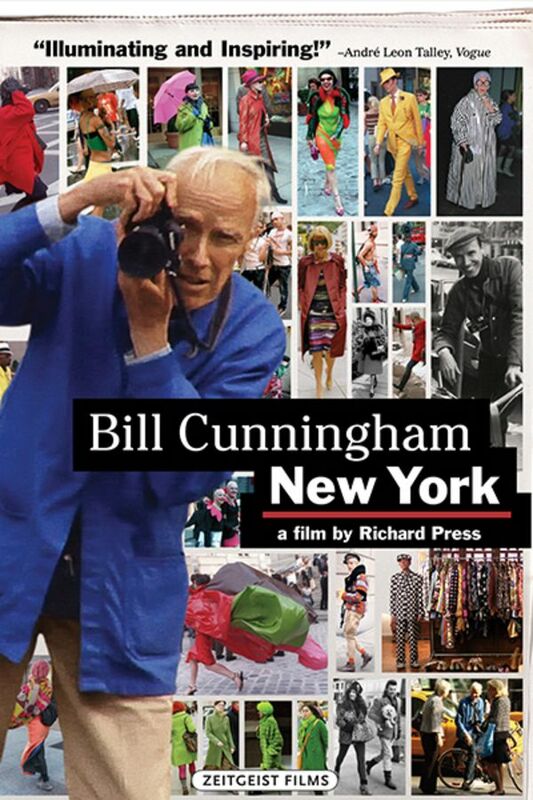 BILL CUNNINGHAM NEW YORK is a delicate, funny and poignant portrait of a dedicated artist whose only wealth is his own humanity and unassuming grace. Absolutely wonderful. Bill just made me happy to watch. Not many people like him. Such a wonderful capture of an innovative, creative man with a giant heart. His work ethic and passion are a shining example of what we should all strive for! The film does a great job balancing this icon of the NYC fashion world with the humble man who lifts up others with sincere admiration and no judgement. One of the few documentaries I can watch over and over because it's just such a joy to view. He is so kind but discerning, no wonder everyone likes him. Nice tribute to a life well spent doing what he loves.